Many businesses use Federal Records Managment & Shredding for confidential document destruction. But, it’s not only business that can benefit from document shredding. 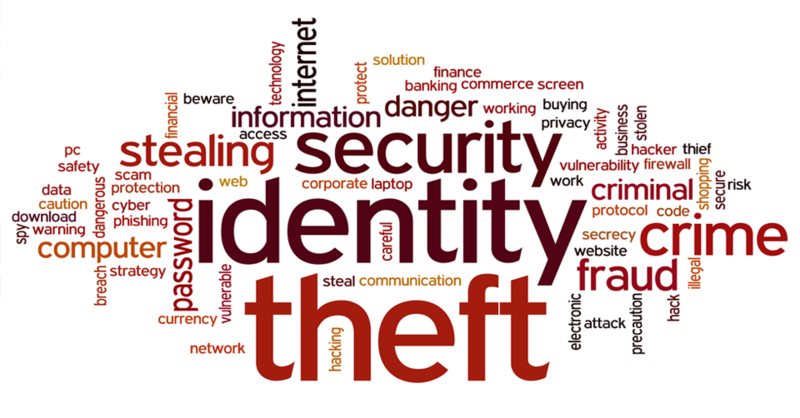 Residences are susceptible to identity theft as well which makes shredding not only a good idea but a necessity to protect your families information as incidences of identity theft are on the rise. Your documents are shredded with documents from multiple other customers then bundled and recycled. 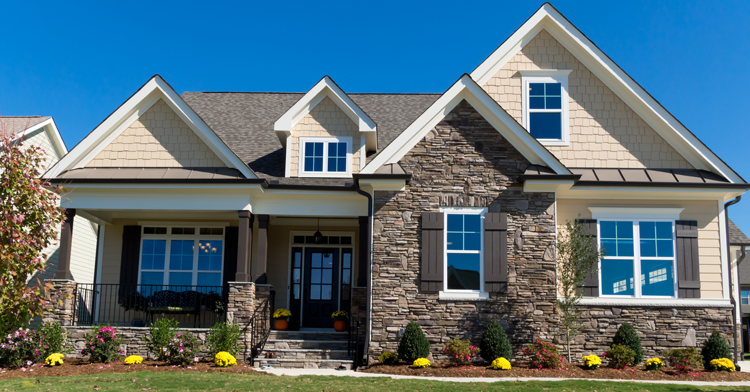 We offer two ways for residential customers to protect themselves and their personal documents. Seal N’ Shred bags make it easy for residential customers to collect confidential items for destruction. Simply fill the bag with your personal documents and papers. When the bag is full, seal the bag by removing the paper strip off the adhesive tab and bring it to our office for shredding. The Seal N’ Shred bag is only $15 and includes the cost of shredding. A few times a year, Federal Records Management & Shredding offers free shred days to the public. Our mobile shredding trucks will be on-hand for residential customers to bring any personal and confidential documents they would like shredded for on-site destruction. View our list of upcoming Shred Days to find out where our trucks will be next. 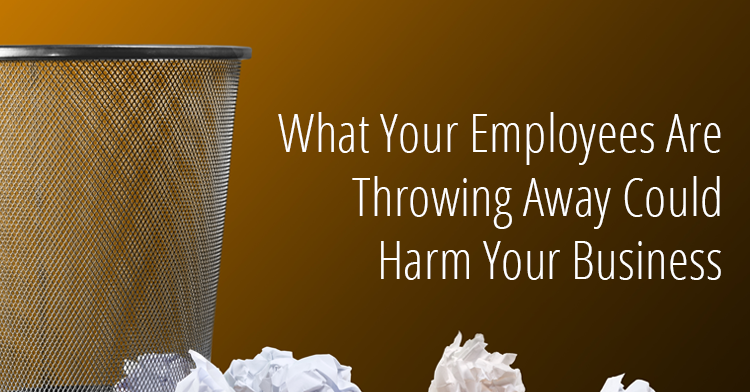 Any document with personal information such as your name, phone number, address, account numbers, and social security numbers should never be thrown in the trash. Don’t let your confidential papers fall into the wrong hands. Trust your shredding to Federal Records Management & Document Shredding. What Is Records Management? Why Is It Important? Records management. We talk a lot about it around here. In fact, it’s not only in our name, it’s in our blood. However, few may know what it is or why it’s important to their company. 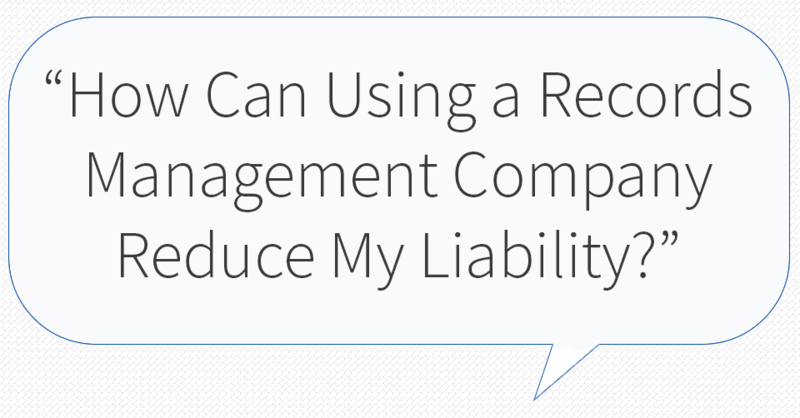 Records are the documents that provide all the important evidence of your company’s business. Medical records, business documents, legal filings, or other sensitive information are all obvious records that should be kept. Other pieces of information related to your business may need to be kept as well. All the information created, sent and received in the course of doing business is potentially a record. They keep track of what happened, who made the decision, and what was expected to happen next. 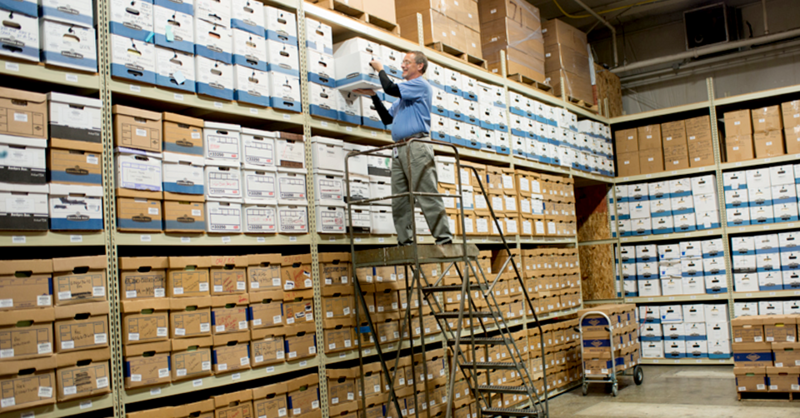 Records management is the handling and storage of those important documents. However, most businesses do not have the time, space, or resources to effectively manage their records. That’s where we come in. a secure storage facility with 24/7 surveillance inside and out. The professional team at Federal Records Management & Shredding works hard to manage and protect your important information by offering state-of-the-art, records management services. Need help managing your documents? Contact Federal Records Managment & Shredding today at (260) 267-9652 to learn more. Many businesses, especially those dealing with sensitive, confidential, or financial information, are implementing clean desk policies. A Clean Desk Policy requires all employees to clear their desks at the end of each work day. Yes, a clean desk policy makes the office look neat and tidy, but there’s a much more important reason for enforcing it: it’s a crucial step in protecting your organization from fraud, security breaches, and information theft. It’s a simple and effective way to make sure sensitive information is not left unattended and accessible to prying eyes. 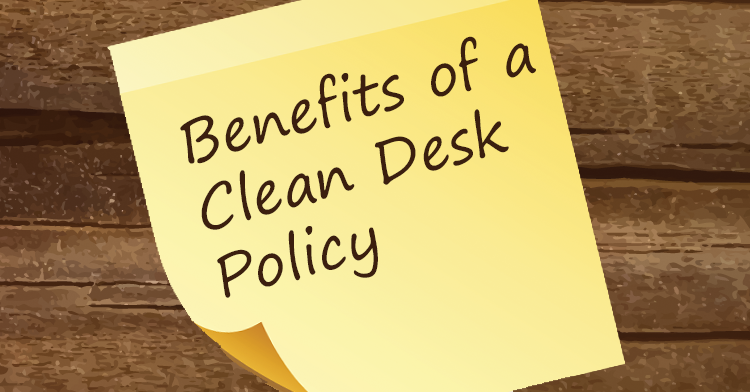 A Clean Desk Policy protects your organization and helps your employees stay compliant with privacy and security regulations. A Clean Desk Policy is a straightforward strategy for reducing the risk of security breaches and information theft. Protecting your company doesn’t end there, however. Secure document shredding with a licensed shredding company continues to protect your company until all sensitive information has been completely destroyed. Federal Records Management and Shredding in Fort Wayne helps your business manage its information and stay compliant with their wide-range of information services, including offsite records storage, and secure document and hard drive destruction. Contact us today at (260) 267-9652to learn how we can help you protect your clients, your business, and your reputation. Records Management: Onsite or Offsite? Should You Store Your Records Onsite or Offsite? Which is Best? In most industries and businesses, important records, confidential documents, and information need to be stored, organized and quickly retrievable. However, attempting onsite records management in your own business can quickly become a cumbersome, time-consuming task — wasting valuable space, your time, and that of your employees. At Federal Records Management & Shredding, we help business more efficiently manage important and confidential documents in our secure, climate-controlled facility. Federal Records Management and Shredding is the greater Fort Wayne area’s only locally owned and operated, AAA certified document management company. 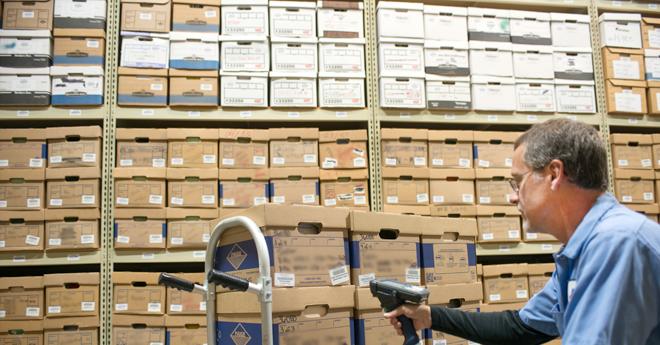 Read more about our records management services. Beyond records management and storage, we also offer onsite and offsite secure document shredding and computer hard drive destruction. Our trained and experienced professionals will work with your business to a develop a plan to manage your records and information as effectively as possible. Businesses in and around Fort Wayne trust Federal Records Mangement & Shredding to shred their confidential documents. Now, Federal Records Management & Shredding offers the same security to residential customers as well. Everyone has personal papers such as pay stubs and credit card statements around their home or apartment. Don’t just throw away confidential documents, shred them! The Seal N’ Shred Bag provides a secure, convenient, and environmentally-friendly way to collect your confidential documents until they’re ready for destruction. Fill the Seal N’ Shred Bag with your confidential documents. Place any papers with personal and confidential data into the bag. 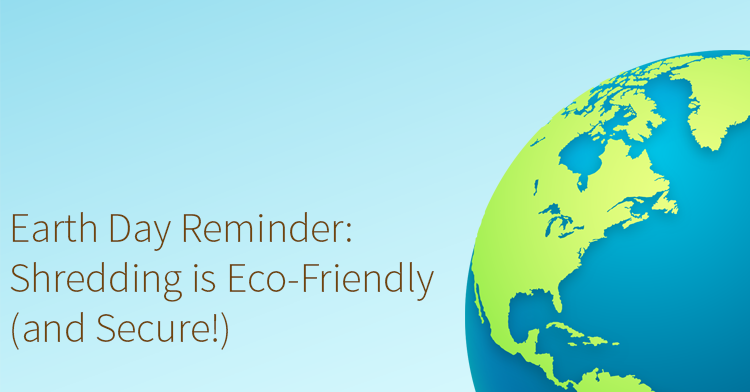 Items such as credit card statements, pay stubs, bank statements, and bills should never be thrown away in the regular trash or recycling. Shred the Bag. Bring the sealed bag to Federal Records Mangement & Shredding to have the contents destroyed in our secure facilities, or call to schedule a pickup. The Seal N’ Shred bag is only $15 per bag and includes the price of shredding and the peace of mind knowing that your documents and papers are kept free from prying eyes. 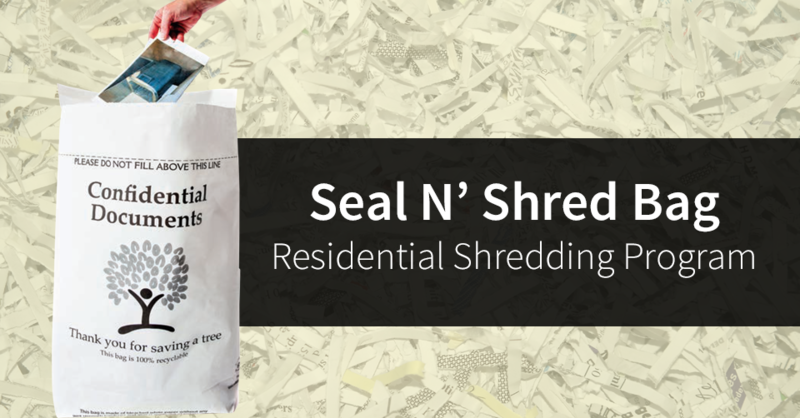 Contact us today to learn more about our Seal N’ Shred residential shredding program and to order your bag. Don’t throw it away, shred it! 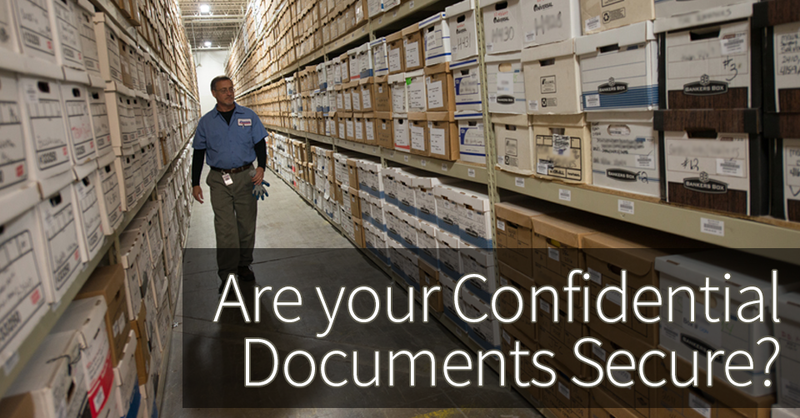 Are your confidential documents secure? Doctors’ offices and medical facilities are keenly aware of the legal and financial ramifications of non-compliance with HIPAA (the Health Insurance Portability and Accountability Act). Similar regulations apply to business documents across almost all other industries, any that handle financial data or must comply with consumer privacy laws. Whether the confidential information belongs to your clients, your patients, or your employees, your business can be held accountable for any failures to keep that information secure. Your business’ intellectual property can also be put at risk if it is not properly managed. Protecting yourself and your company from data, document, or identity theft is just part of doing business in today’s world. Protect yourself and your business by using a professionally certified document storage and destruction facility like Federal Records Management & Shredding. Our locally owned and operated document management company is a AAA-certified member of the National Association for Information Destruction (NAID). Document security and regulations compliance is our specialty. Talk to Federal Records Management & Shredding about how we can help your business meet those goals — economically, thoroughly and without hassle or worry.